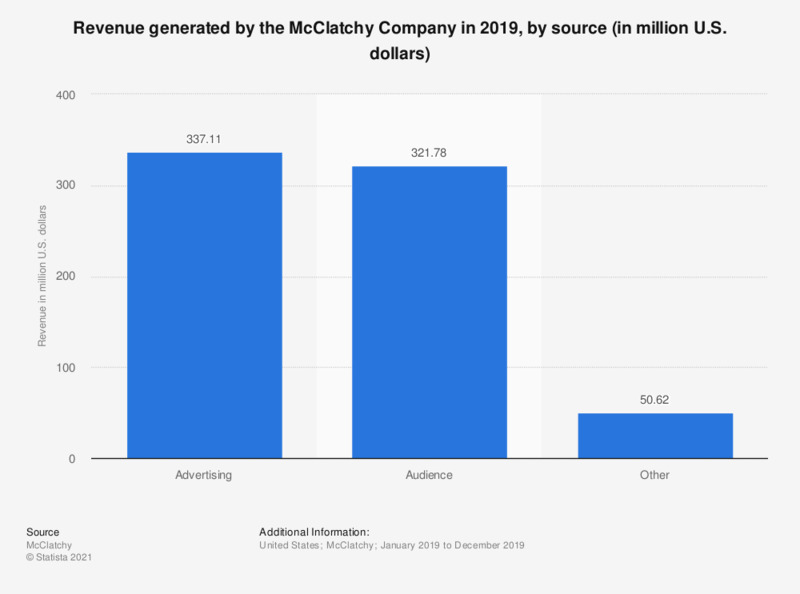 This statistic presents the McClatchy Company's annual revenue in 2018, by source. In that year, the advertising segment generated a revenue of 416.72 million U.S. dollars. January 1, 2018 to December 30, 2018.